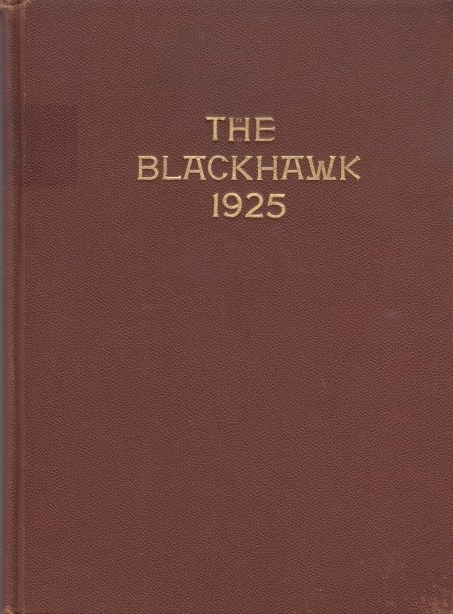 With the generous donation of the 1925 Blackhawk Senior Yearbook from the Davenport High School Laura graduated from, we are now able to open a window into that early part of her life. Through this window we can catch a glimpse of her interests, places she spent time and even catch bits of humor from her classmates as each stood on the brink of the world history that was to follow. 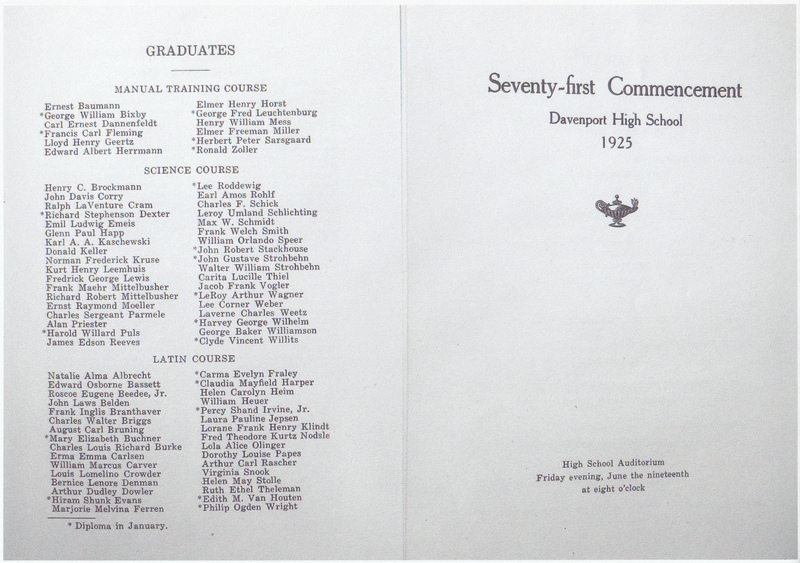 Before we begin I want to take a moment to thank the Davenport School Museum for their donation to our archives of both the yearbook and graduation program. 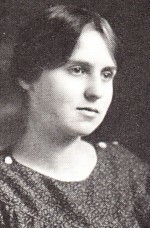 Take a moment below and learn more about the remarkable woman Laura was then and went on to be. This content will grow significantly over time and we are always interested in gathering new stories about Lichgate. If you have something you would like to contribute or suggestions of a topic to add, contact us at contact@friendsoflaura.org. 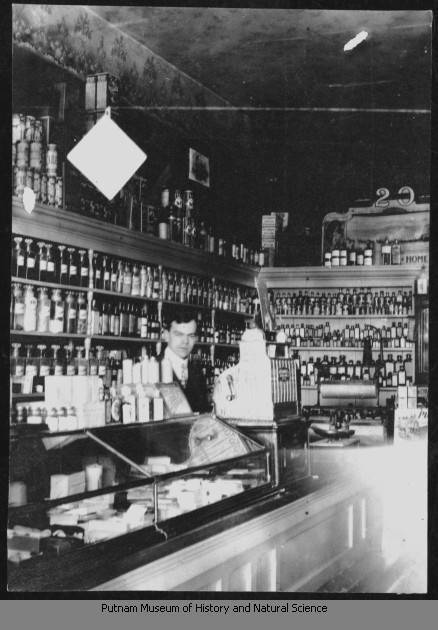 The accompanying picture is to the Moetzel Drug Store that was a short walk from the High School Laura attended. 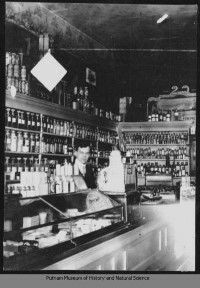 This shop was a popular place for students to visit after school as it was only a few blocks away from the campus. 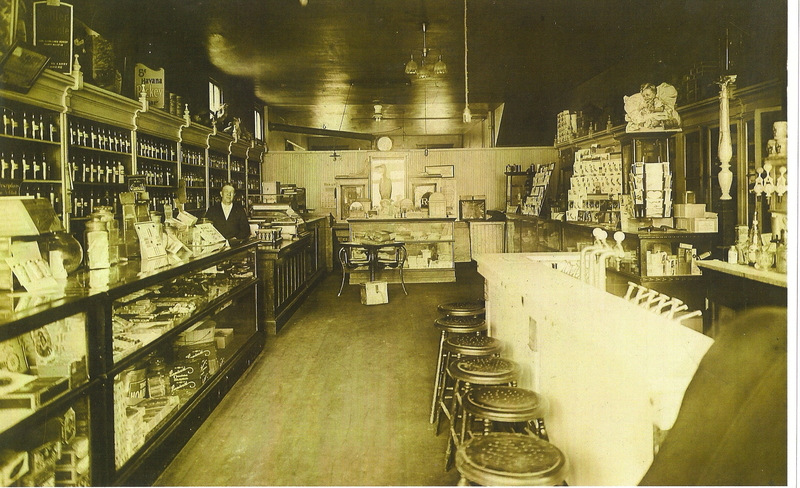 This store has a fascinating history beyond just this however. From 1918 to 1921 a young man worked the soda fountain here. His name was Bix Beiderbecke. You may not know this name unless you listen to Jazz music but he played with Tommy Dorsey and many other legends in his short life and recorded a song that Laura most likely heard at a local dance or on the radio during her Senior year in high school. 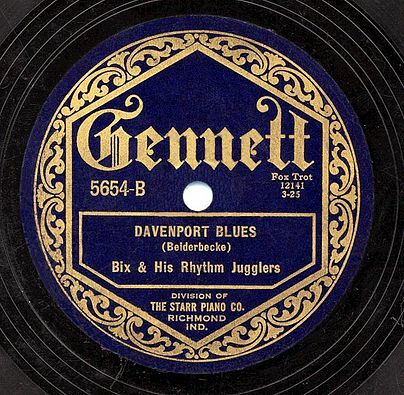 This piece was called "Davenport Blues" and was recorded in January of 1925 with Dorsey and Bix's band the Rhythm Jugglers. Take a moment and listen to the sounds of that time by following this link, (MP3 format). There will be entire page dedicated to Laura's life after school coming soon. 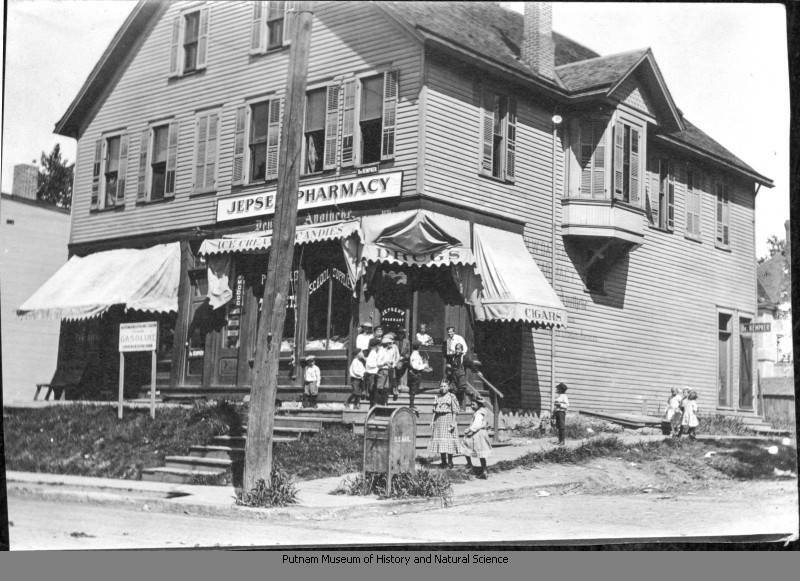 Though a bit further from the high school, this pharmacy was owned by Laura's uncle named Jens Jacob Jepsen. He was 27 years older than Laura and as you can see from the ads on the awnings, his store was a beckon for children as it boldly offered candy for sale. 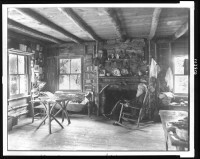 The outside picture, taken in 1910, shows a collection of neighborhood children gathered near the entrance. It is possible that one of the younger girls on the far right of the picture is Laura. 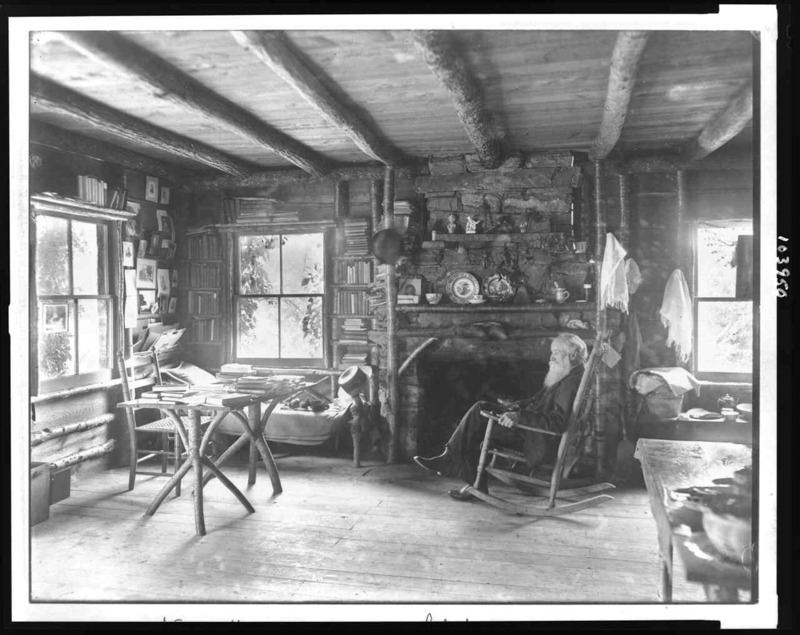 The picture of the interior shows Jens Jepsen at the counter. This building is still standing, here are some links to recent pictures, front side. The address is 1601 Washington Street, Davenport, Iowa. 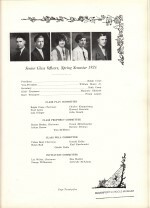 This is the way the high school building would have appeared to Laura when she attended. 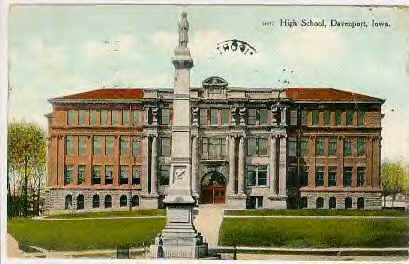 The statue on the column in front is dedicated to the Union soldiers who served in the Civil War and was erected in 1881. 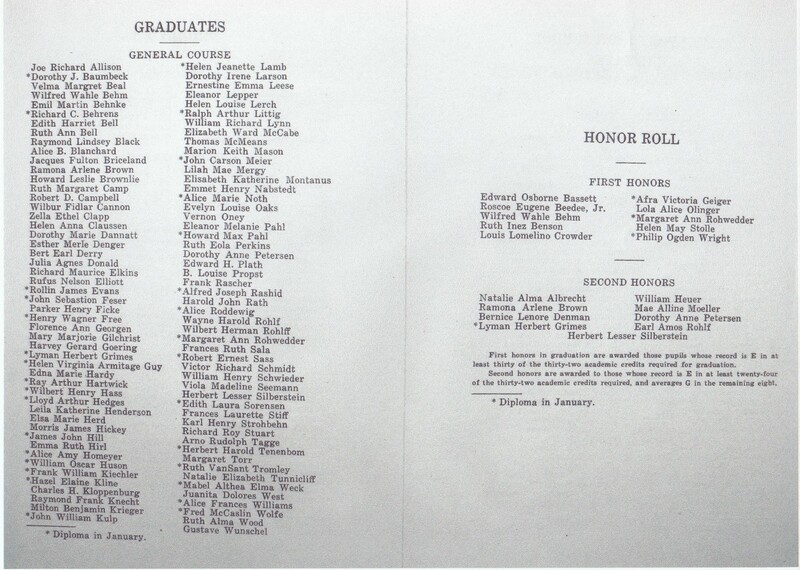 The school building has a unique history that Laura would have appreciated. It was formerly the site of an Episcopal school called Griswold College and the citizens of Davenport voted to acquire it for a high school on March 12, 1900. 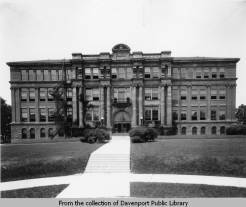 This referendum marked the first time women were allowed to vote in Davenport and it wasn't until 1920 with the passage of the 19th Amendment that women gained the right to vote nationwide. 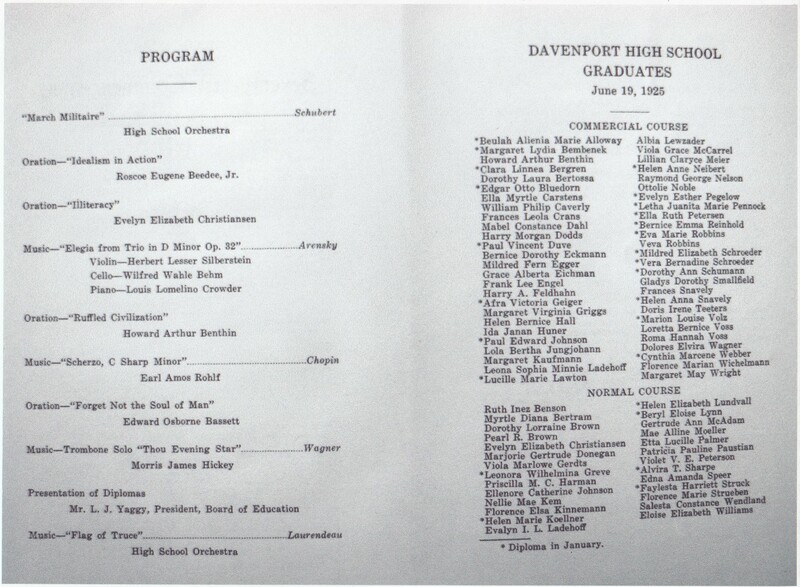 Classes began at the high school in January, 1907 and today Davenport High School is known as Central High School. 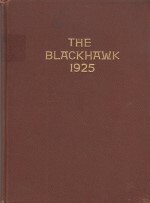 The Prologue and Dedication of the 1925 Blackhawk Yearbook was a quote, reference to and picture of John Burroughs. Though little known today, his story is interesting enough for a seperate entry and his philosophy and life are obvious influences on Laura's. 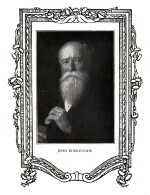 John Burroughs died in 1921, four years before Laura's graduation, and yet her class admired and knew enough about him to dedicate their yearbook to his memory. 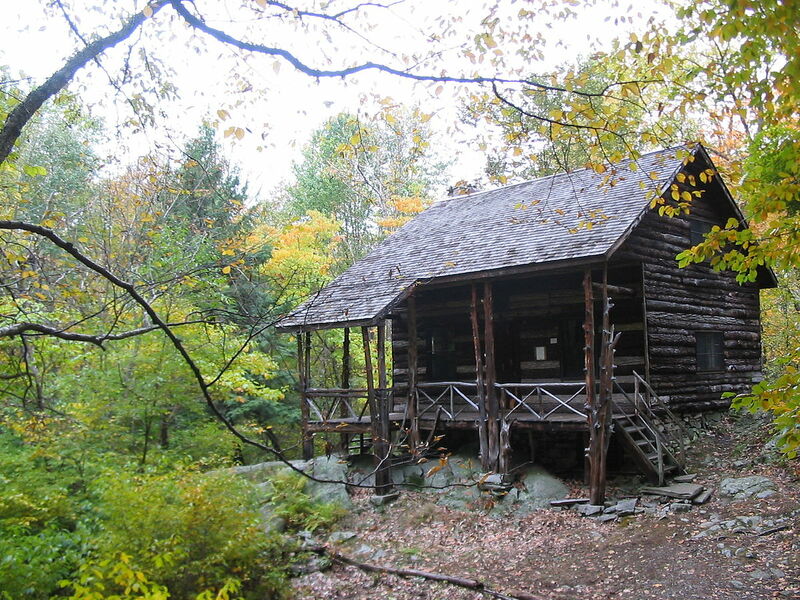 The cabin to the left was called Slabsides and was Burroughs home in the Catskill Mountains, take a peek at the interior and you will see a lot that may have inspired Laura's own choice of how Lichgate was to appear later on in her life. 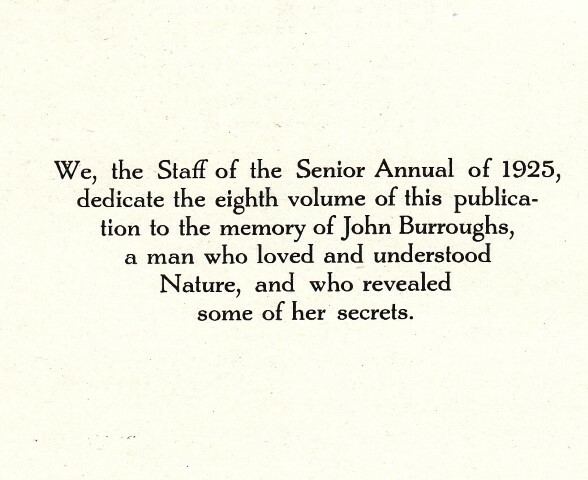 Burroughs was a naturalist and bird lover. 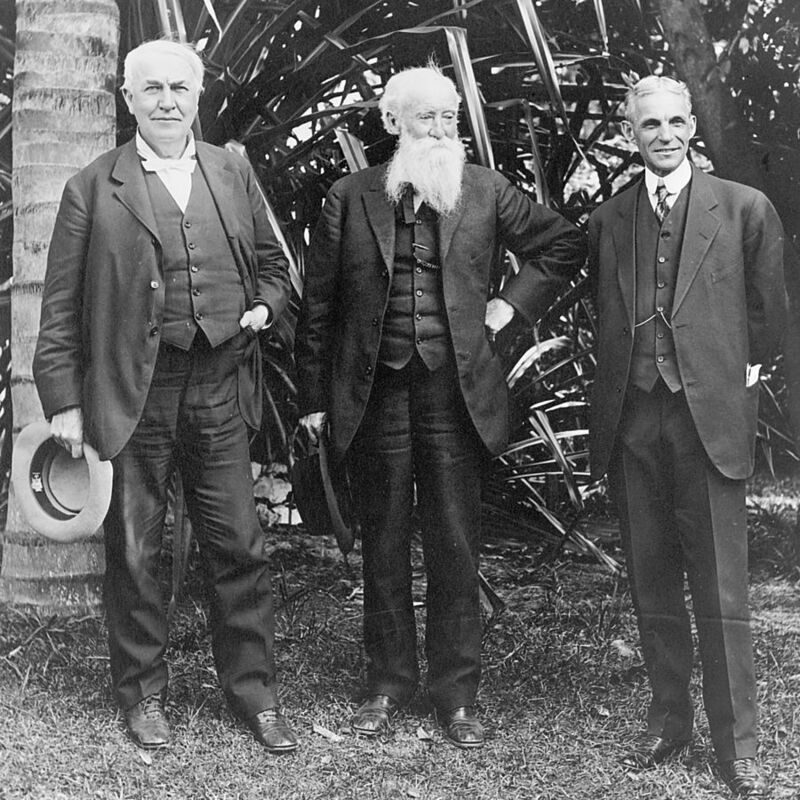 He was a friend of Walt Whitman, Ralph Waldo Emerson, Teddy Roosevelt, Henry Ford and many others, (a picture of him with Henry Ford and Thomas Edison is here). 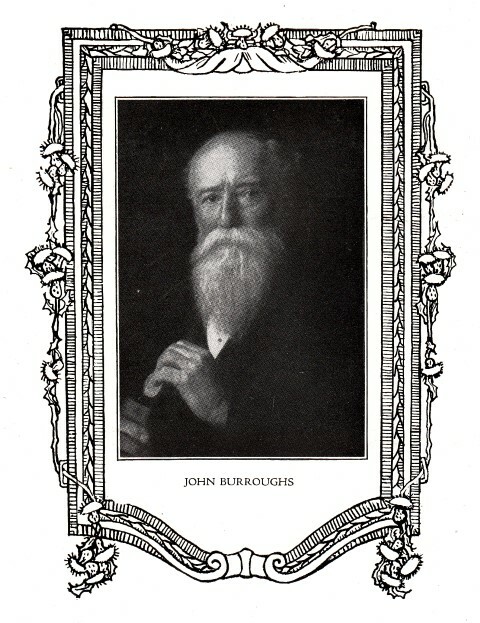 There are stories of his travels with President Roosevelt indicate that when they arrived in a new community, the crowds that would gather often came to hear Burroughs speak rather than Roosevelt. Some of his well-known quotes include, "Leap, and the net will appear. ", "I still find each day too short for all the thoughts I want to think, all the walks I want to take, all the books I want to read, and all the friends I want to see. 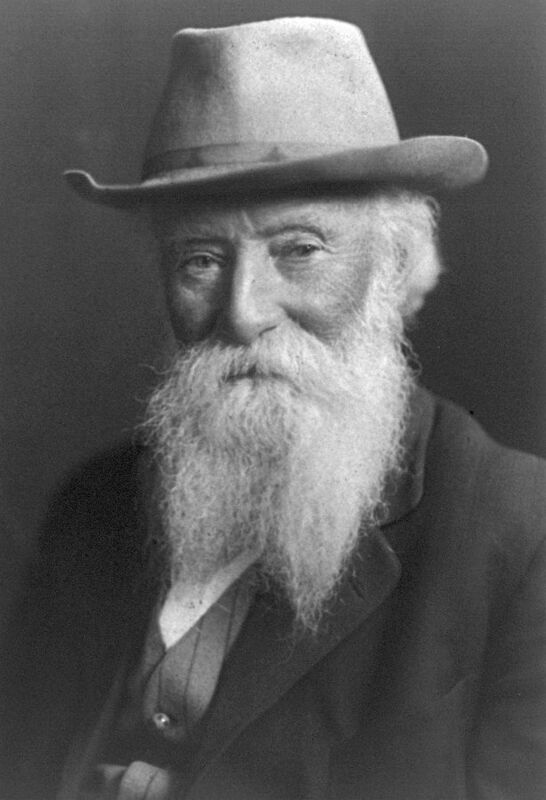 ", and my favorite, "How beautiful the leaves grow old. How full of light and color are their last days." This is the earliest known picture of Laura Jepsen we currently have. 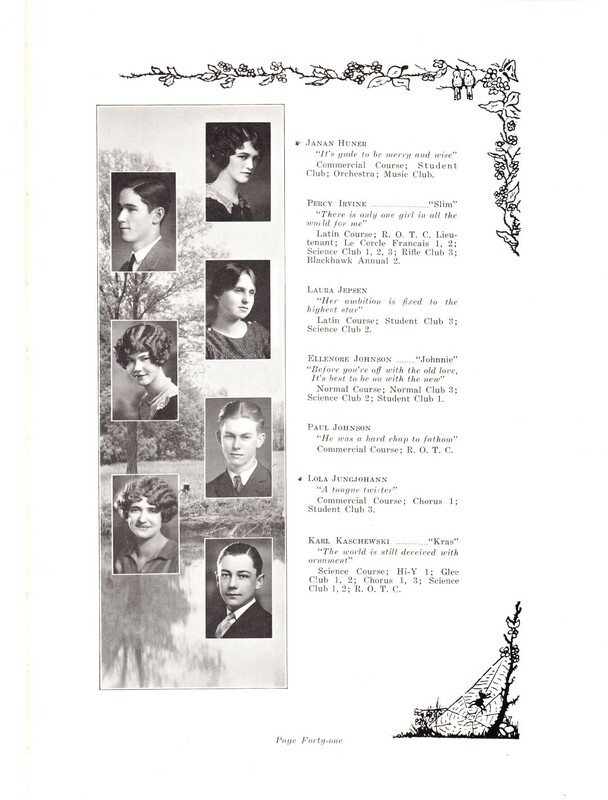 Taken from the 1925 Blackhawk High School Yearbook we see her at 17 1/2 years old and find her interests to be in Science and Latin. 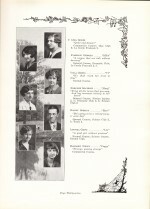 As with all of her classmates, her picture and club memberships are accompanied with a small quote. Laura's reads "Her ambition is fixed to the highest star". For quite some time now I have wondered what the origins of this quote were. Was it derived from a book or made up by Laura herself? It turns out that the answer to this mystery is something completely different and has a bit of humor to it as well. We will explore the story behind the inspirational quote below. 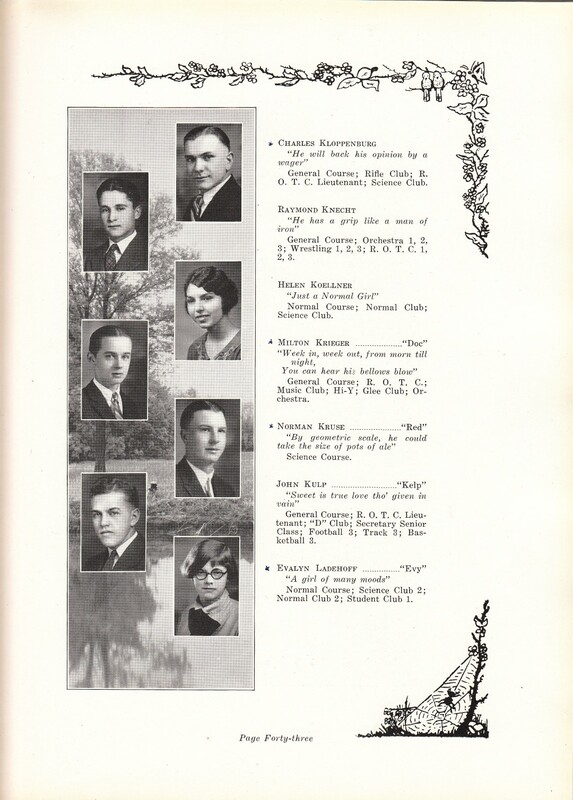 The first picture to the left is from the Blackhawk Yearbook and shows the various class officers and committes that Laura's class elected. One of these is rather unusual and is called the Class Prophecy Committee. This was a group of five members of the class tasked with attaching a quote or description to each classmate telling something of their perceived future or how the class or school viewed them. Some of these quotes are inspiring, Laura's for instance, while some are a bit more biting and others are just outright strange. 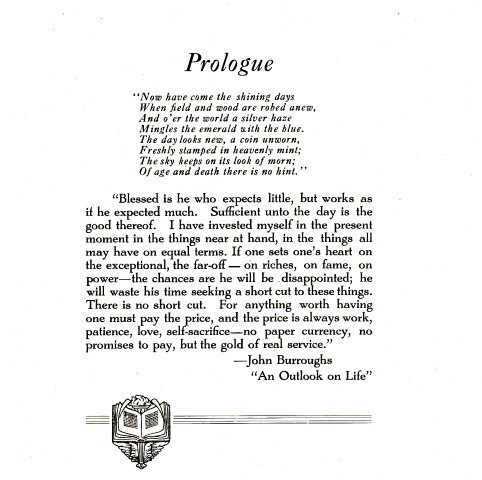 For example, take a moment and view the picture to the right above, page 37 of the yearbook, Marjorie Gilchrist's quote is "Bring all the forces that you may, And lay incessant battery to her heart", nicely romantic and taken from Sonnet XIV of Edmund Spenser. The next student down is Harvey Goering, his quote is "He's going to be a retired farmer one day", imagine having that as the prophetic statement about your life! 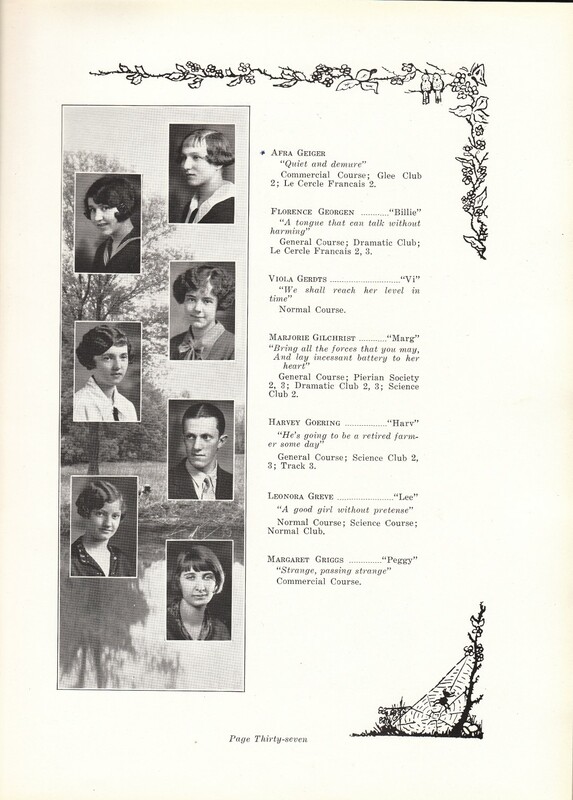 Below poor Harvey we have Margaret Griggs with the tag, "Strange, passing strange", a quote from Shakespeares's Othello, (enough to make you wonder what she must have been like as a classmate). I have had the pleasure of great number of laughs about all the statements regarding this body of students and should you have the chance, I would recommend reading over a few yourself at the following links. Page 43, (check out Evalyn Ladeoff's quote on that page :), and Laura's page.